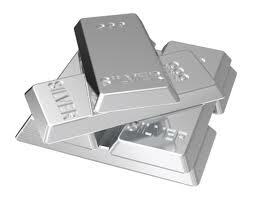 International Market decline is also being witnessed on domestic market gold and silver. COMEX Gold decline more than 0.5% and Silver fall by 1.5%. NYMEX Crude Oil slipped 0.5% and is trading around $ 95. Currently MCX gold with decline of 0.5% is trading at Rs 31 320. While Silver brocken more than 1.5% and has come down to Rs 61 650. MCX Silver Tips Today :- Silver December futures Sell - 62000, stoploss - 62 530 and the target - 61 350. Crude Oil Tips Today :- MCX Crude oil slipped nearly 1% and it has come down to Rs 5,300. Crude oil September futures Sell - 5400, and target – 5300, Stoploss - 5440. NCDEX Agri Commodity Tips :- Meanwhile on NCDEX Chilli dropped 1.5% is trading at Rs 4540. Wheat declined by 1%. NCDEX Cotton cake up 1% is trading at Rs 1,530. Castor Seed October futures have gained nearly 0.5%. Chana October Futures Buy – 4880 and target – 4950, stoploss – 4825.
Pepper October futures Sell - 43800, stoploss – 44100, target – 43300.